CGT Catapult Manufacturing centre opening! 3PM are very proud to be involved in this significant game changing science project. It is the first in the world of its kind and will significantly change the landscape for Cell and Gene therapy in the future across the globe. We were commissioned to Project Manage and Contract Administer this complex GMP compliant collaborative cleanroom facility from inception through to completion and into operational readiness on. We were trusted advisors to the CGT leadership team and provided a full turnkey Project and Cost Management service with our design team partners. The success of this Innovate UK funded industry recognised project for CGT is due to the cohesion of this turnkey offer. 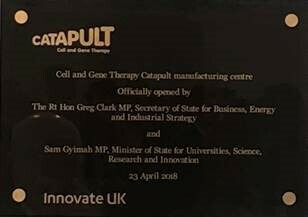 The grand opening took place in Stevenage last week and was attended by over 100 guests from academia and science industry, including the Business Secretary Greg Clark and Science Minister Sam Gyimah. For more details on the project, you can view our project profile here . If you would like to find out more, you can see CGT press release here. 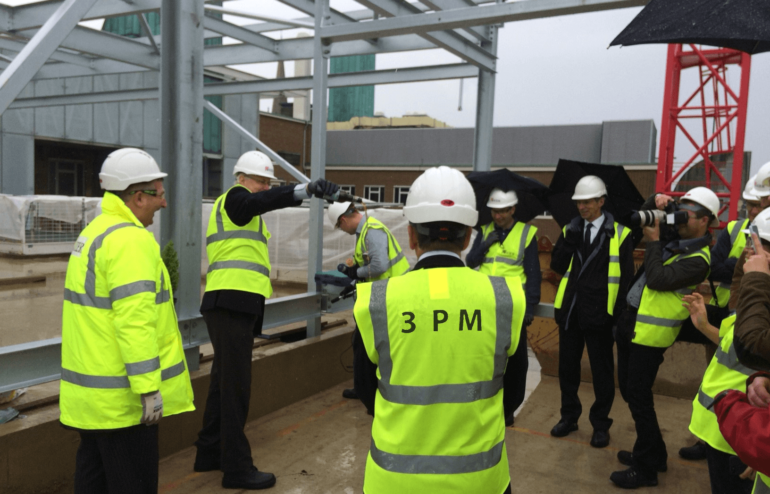 3PM have recently celebrate the Topping Out of the Chemistry of Health facility for the University of Cambridge. Supplementing the world leading research and academia undertaken within the Department of Chemistry, this 2,640m² specialist facility will enable expansion of the existing office and lab provision. The building will house the Centre for Protein Misfolding Diseases, as well as being a core base for the ‘Chemistry of Health incubator’ comprising research scientists from industrial partners and start-ups occupying laboratory and desk space alongside academics. Navigating the site constraints of a live environment in the early project stages included the relocation of critical liquid nitrogen facilities and the management of electrical transformer replacement works, alongside the complexity of constructing on a heavily restricted site within the busy inner-City locale. The team have successfully managed these issues by way of a significant consultation process, careful planning and utilising the strong relationships within the Project Team. In short, a job well done by all.